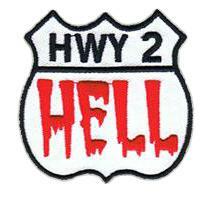 Hwy 2 Hell 2.5" patch. Hell is written in blood font. Let everyone know where you're going!